The City of Hobart was host to over 1 million tourists and visitors in the year to September 2013, a 15% increase on the preceding year. 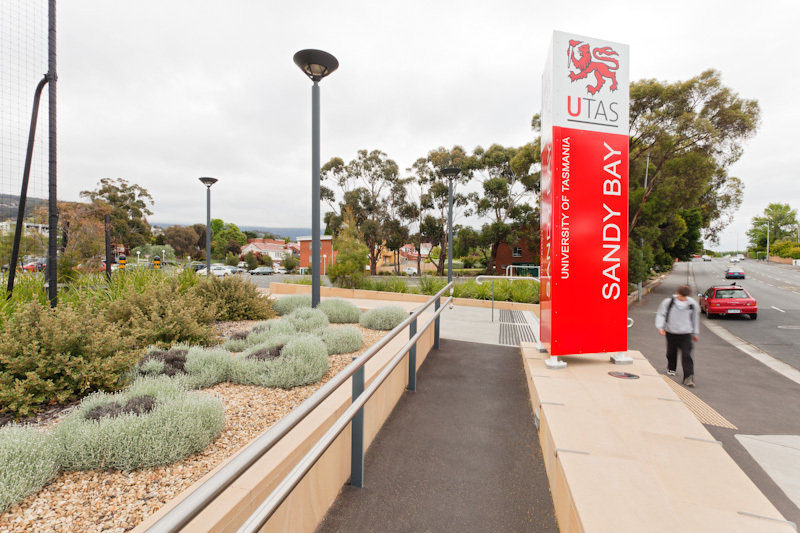 The Hobart Wayfinding Project is designed to orient local people around their town as well as cater to this growing number of visitors, many of whom are non-English speaking. The project therefore had a varied target audience and required a nuanced response that would be legible to a range of users. 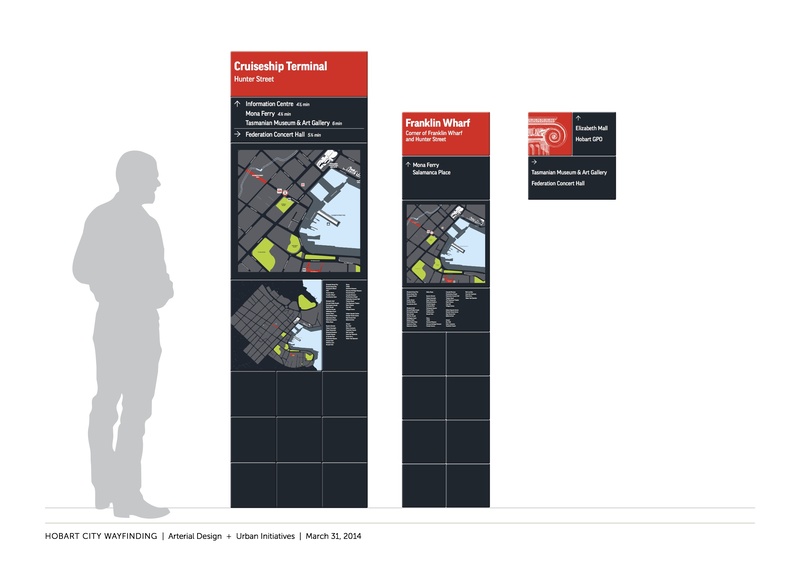 The study identified the major impediments to city navigation, namely, the physical and visual barriers that exist between the city centre and the Waterfront/Salamanca Place precinct; and the limited number, and lack of coherence, in existing wayfinding elements. 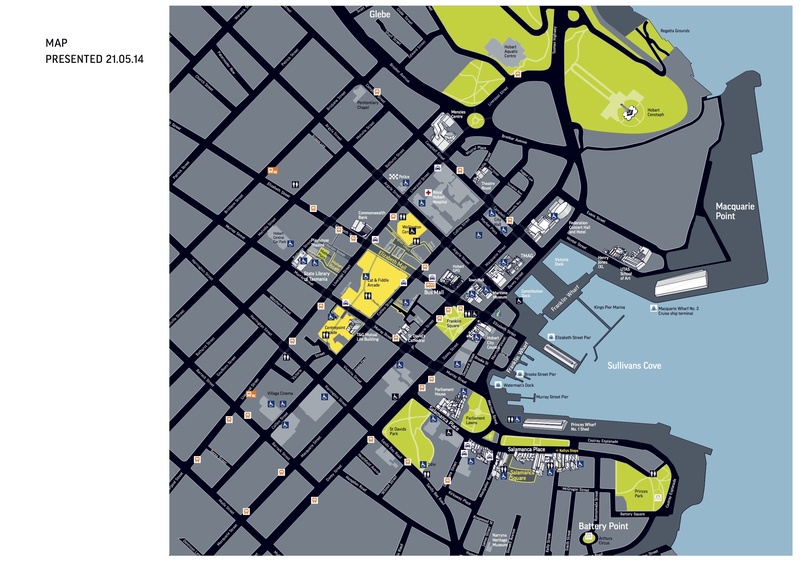 Additionally, the city centre is divided from the waterfront precinct by Davey and Macquarie Streets, that combined, carry over 65,000 vehicles a day. 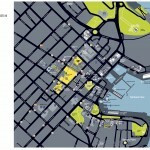 Urban Initiatives, working with Project Lead Arterial Design and a team at Hobart City Council, have developed a strategy to address the problem of visually linking a series of arrival points to key destination precincts in the city. 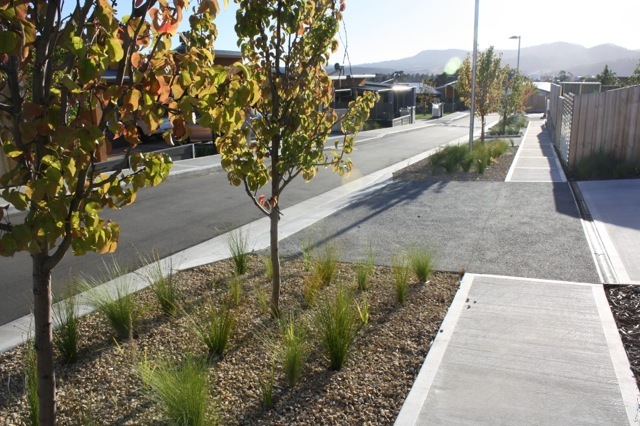 The project employs a range of media and a palette of simple, robust streetscape elements. 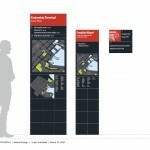 These elements provide comprehensive mapping and clear route identification. 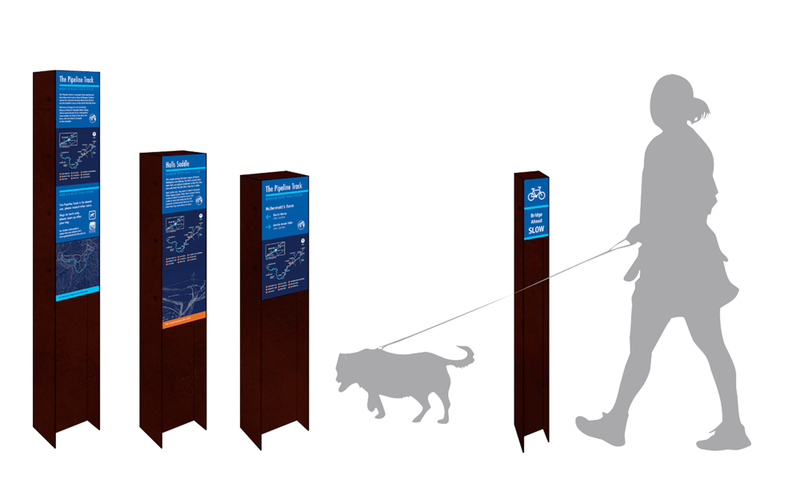 Over 350 routes have been prioritised in the mapping exercise and amenities and destination information is included in the signage elements that also had to be adaptable for specific events and festivals. The strategy also includes recommendations for a range of communication aids related to language and visual impairment.